with a wide chemical resistance. 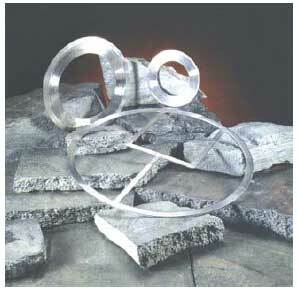 • Support Ring Stainless Steel 316L (standard) Available ex stock are 304L, 321, mild steel. • Coating Material Graphite and PTFE. For high temperature applications (ie. above 400°C in oxidising environments) ask about Maxiprofile HT gaskets. 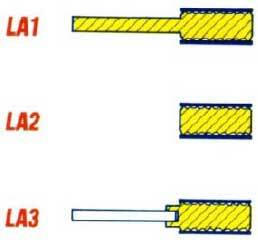 LA1 – Lateral profiled joint with guide ring. Most often used for standard flanges.